MindMint Software Review - Hype or Worth it? I have been in business for many years now, and frankly, it’s a difficult undertaking. But, I’ve learned a few things. First, no one ever starts a business expecting failure. However, it is easier to fail than to succeed. Second, success in any form of investment requires focus, determination, risk-taking, a bit of luck and most importantly, a great strategy. Talking of strategy, that’s where tools like MindMint Software, comes in. Such tools are available to offer you the support you need for success and to catapult your business to desirable levels. In this MindMint Software review, I will dissect the program, so you know whether it’s the right tool for you whether you are a businessperson or a mastermind group. What Exactly Is MindMint Software? A brainchild of Tony Robbins and Dean Graziosi, MindMint is a program designed to assist with mastermind groups. It’s actually a course and software that teaches anyone, regardless of their background, how to develop, fill, run and profit from high-impact in-person or virtual masterminds. The course, referred to The Knowledge Business Blueprint (KBB), is designed to show you all you need to know to extract the knowledge of masterminds, fill events, and ensure it runs trouble-free for massive profitability. The software, on the other hand, deals with logistics. Tony Robbins and Dean Graziosi claim they used a whopping $500,000 to develop the software alone so that you find operating a successful mastermind a breeze. If the claims are true, then these guys are up to something. Reading other MindMint software reviews would be interesting. Do You Really Need Software for Your Mastermind Group? I use mastermind groups, and I can tell you with certainty that it’s the force behind my success. To be specific, these groups help my investment to obtain strategies and to gain success. I believe it is the same for you and others who believe in mastermind groups. Here is the question; do you really need a software system for your masterminds? I would say yes, but again it depends. Where are you now with your mastermind groups? What do you intend to achieve with them? Answers to these queries will indicate to you whether mastermind software such as MindMint can be of value. Many who begin such groups often think it is as easy as pulling friends, workmates, business partners or acquaintances and start discussing strategies of success. I didn’t think any differently. I’ve come to realize that there is more to the process than the approach many people give the subject. Although masterminds began the early 1900s, only a few people who used it correctly can be remembered – the likes of Brendon Burchard (High-Performance Mastermind), Joe Polish (Genius Network), Russel Brunson (Inner Cycle), and Jeff Walker (Platinum Mastermind) just to mention a few. These super-successful individuals started groups that are raking in millions of dollars annually. If you study them keenly, you’ll realize that they used the right people and most importantly, the proper process. If these two ingredients are missing, your mastermind is doomed to fail. Imagine you are the leader of your mastermind group, you set an agenda, and everyone gets off the topic. Others are seeking to dominate the conversation and trying to push their agenda down the throat of other members of the group. Will that mastermind really work? I guess no. The MindMint Software could iron out many of the issues that cause masterminds not to succeed. Along with the KBB Method course, the system could also give you new insights and strategies that are all aimed at giving your mastermind an accelerated success. Is MindMint The Only Mastermind Software Available? If you are hearing for a mastermind software for the first time, it does not mean MindMint is the only that has ever been in history. If you have heard of them before, then you could be asking what difference this one makes. Skype, Zoom, and Google Hangout – do they ring a bell? These software systems are fantastic when it comes to keeping the group together. However, they have very little to offer when it comes to strategic processes for mastermind group success. In essence, the older group software is designed to do just two things. Firstly, it is to make sure that group members can connect one to another by way of audio or video. Secondly, it aims at taking records and timing group processes. All the other logistics of team meetings are your responsibility to handle. This mastermind software offers much more than what the older software does.It assists with the full functions and operations of a group. Actually, it provides even much more when it comes to staying connected and obtaining the results you desire. The developers of this program built their new advanced software on the shortcomings of Skype, Zoom and Google Hangout. They claim the experience they have had with the older software made them burn the midnight oil trying to find new strategies and processes that set up mastermind groups for success. The question is – have they succeeded? Let’s look at what MindMint has to offer that’s different from the older group software systems. A few formulas have been developed before, but honestly, I believe MindMint is up to something. If you find it challenging to run your mastermind, these features could reverse the situation for good. Continue reading, and you’ll find out how these features can positively impact your mastermind group. The MindMint software deals with the logistics of a mastermind group. The Knowledge Business Blueprint focuses on the strategies and processes that aid you in running a success-oriented mastermind group. The KBB Method consists of four modules. Each is packed with tips, tutorials and secrets for positive results. Also, you will find step-by-step action items that will help you with marketing, building and working with your desired mastermind group. The third chapter will educate you on how to use complementary software in running your mastermind group. MindMint will provide you with guidelines for your group agenda and to ensure that you take up a leadership position. According to Tony Robbins, Dean Graziosi, and Russell Brunson, once you get into a leadership position, you’ll be so successful that no one will be willing to challenge you, albeit positively. The software will pack your brain with ideas, tricks, and strategies of success. This mastermind software will provide you with everything necessary for you to get a brainstorm, get ideas, set goals, and to operate within the mastermind group and an event. Thus, the program is capable of developing your group, catapult you into a leadership status, and offer you details of what you must do next to succeed within your mastermind group. Combining the software with other modules gives a winning recipe. The modules reveal ways to market your group and how to find the right individuals with whom to work.You also learn how to plan events for groups and get more from your mastermind group. This module is all about Tony Robbins’ success formula and how you can use it to the benefits of your mastermind group. You’ll also find practical applications from the formula that you can use for your group to increase the capacity for success. You can consider this module as an eye-opener to the limitless possibilities that can set you and your group up for a win. Here, you will learn the marketing strategies designed to help you start or improve your mastermind group. It also gives you tidbits, tips, and tricks on how to make it work. The section reveals the marketing strategies of the pros such as Russel Brunson as well as Dean Graziosi and Tony Robbins. This is where the MindMint software comes in.You apply the software to help you get things done. You’ll be able to know whether you are treading the right path. Essentially, it takes away the complexities of running a mastermind and offers guidance on how to proceed for a successful venture. Knowledge is power. Once you have it, nothing can stand on your way except you. This is a comprehensive course filmed by the creators of the software. It walks you step-by-step through the processes you need to take to launch a highly impactful and gainful mastermind. We have talked about the software and the Knowledge Business Blueprint. If you did not capture much from that discussion, here is what the MindMint software offers you in summary. Consolidates expenditure into one: – Allows you to design, accept payments and full fill everything in a single system. Wisdom extractor: – Lets you come up with an agenda in as little as 15 minutes with drag/drop visual abilities. This way, you can customize each event with individual tools. Event builder: – Supports you in designing an agenda from scratch using the system’s structure for a flawless event formula. Website builder: – This helps you explicitly with marketing. 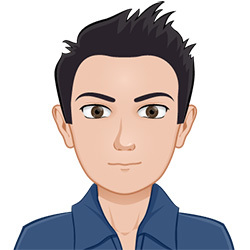 It provides pre-written email messages, pre-built pages, and sales and application type funnels. ntegration: – This feature provides you with the easiest and quickest way to automate your work and integrate with up to 1300 applications and websites. Customer tracking and sales: – Offers elegantly designed customer relationship management (CRM) to follow and charge customers for every event. Pre-designed checklists: – Gives you in-person and virtual pre-loaded checklists for evens so that nothing passes you by resulting in a perfect event. What do you think about this mastermind software so far? Do you think it is the right tool for you and your mastermind group? If you are not convinced you, here are some advantages you stand to enjoy should you plan to buy this product. 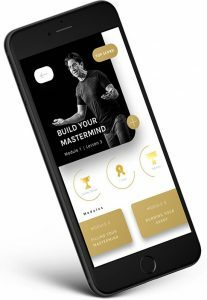 Designed by the top of class leaders: Both Tony Robbins and Dean Graziosi run successful mastermind groups meaning you can trust they know what they are doing. Reliable alternative: Running a mastermind group from your mind can be difficult especially when it comes to logistics. MindMint is a great alternative that will handle your logistics smartly. Incredibly simple to use: The software is a complementary tool that is straightforward to use. You can easily manipulate it to suit the needs of your mastermind group. Offers unique strategies: It is not possible to overstate the importance of strategy in any business venture that aims to succeed. MindMint software provides limitless possibilities when it comes to a unique strategy for your group. Perfect guidance for mastermind groups: This software will help you stay on top of the game as you lead your mastermind group. You will always be on track for an impactful and rewarding group. Hopefully, all your questions have been answered in this in-depth MindMint review. It’s a new, one of a kind software system that can revolutionize the way you run your mastermind group. The brains behind the program are top leaders of highly profitable mastermind groups with years of experience doing business. All they have done is to transfer their knowledge into a system that everyone can use to get exponential results from their groups. Will you be among the many who are already gearing up to turn their mastermind groups around? If you have been struggling with your group, now is the time to try something new. Perhaps it is the breakthrough you have been hoping for. It’s worth trying. For a full in depth review of The Knowledge Business Blueprint course make sure you check out my KBB Method Review article.